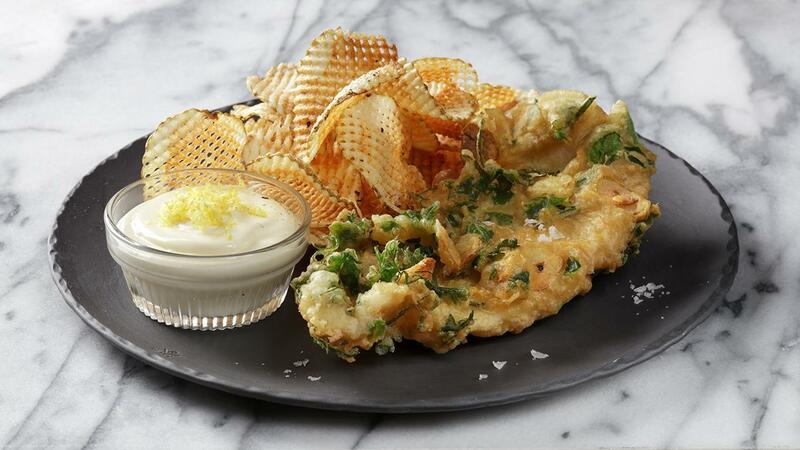 Here is another exciting variant to the classic British Fish & Chips. Using the batter to play with the flavour is key – here we used herbs and garlic slices, plated with Gaufrette style potatoes. View the complete recipe below. Mix all herbs and garlic slices together, dip the fish in the batter and then in the herb mix. Serve with the homestyle russet chips and your favourite dip.